Indoor Air Quality is important in every home or wherever we spend time indoors. A growing body of recent scientific evidence has indicated that the air within homes and other buildings can be more seriously polluted than the outdoor air in even the largest and most industrialized cities. Other research indicates that people spend approximately 90 percent of their time indoors. Thus, for many people, the risks to health may be greater due to exposure to air pollution indoors than outdoors. Indoor air pollution is a real problem and not something many people think about, but if you really want to make sure your home is as safe, clean and as comfortable as possible, it’s a good idea to call in one of our Home Comfort Consultants. 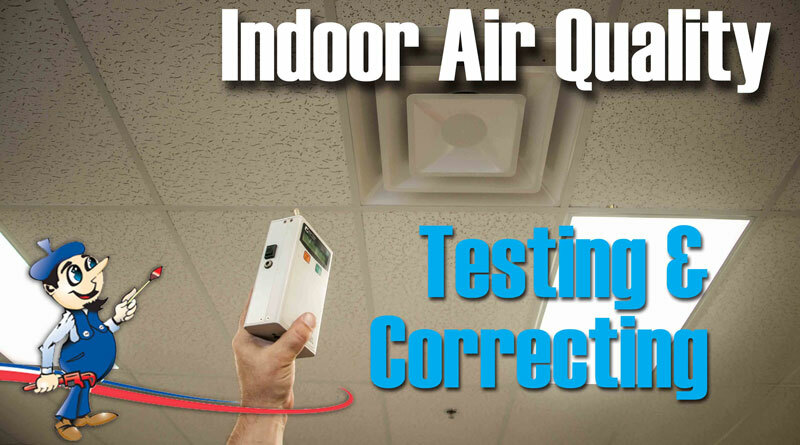 They will execute a complete physical of your home or office as a means to investigate and test building-related health concerns and indoor air quality, including an particle test where we determine the air quality by counting and sizing the number of particles suspended in your indoor air. At Art Plumbing, AC & Electric we offer a wide variety of solutions for indoor air quality to improve the air inside your home and ensure that the air you’re breathing is clean and safe. So, give us a call today and discover how we can address all of your indoor air quality needs and concerns. To some extent, every home, regardless of age or location, needs to breathe. You may feel some air coming into your home around windows, doors, skylights, electrical outlets, walls, floors, or the roof. This is air infiltration, and it is the result of air pressure differences between the inside and outside of the home. Every home has some level of air infiltration. Infiltration is basically outside air entering and leaving the house, taking conditioned air with it. Because a home should be thought of as a combination of integrated systems, optimal thermal protection for a home comes with proper air sealing and insulation. Leaks and drafts (air infiltration) can happen in a variety of places. Air barriers block air movement through building cavities, which as a result, can save up to 30 percent on heating and air conditioning costs. But, air sealing alone can’t replace the need for proper insulation throughout your home, which is needed to reduce heat flow. Any air sealing efforts will complement your insulation efforts and vice versa. Weatherization fixes the problems of air leakage and air infiltration where climate controlled air escapes your house and outside air enters your house. Your home should be as airtight as possible to keep in the air conditioning and keep out the outside air, which also contains harmful allergens. 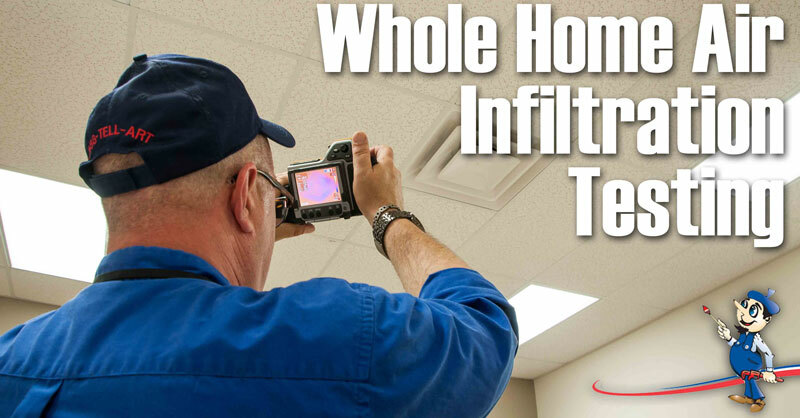 Our Home Comfort Specialists begin the Whole Home Air Infiltration Testing by inspecting your home for energy inefficiencies, and we’ll also measure system performance of your duct system. We can also perform a blower door test to measure the whole house air loss. In addition to quantifying air-sealing effectiveness, a blower door test, which depressurizes a home, can reveal the location of many leaks, especially in conjunction with an infrared camera. The blower door will intensify the natural infiltration occurring in a house, making air leaks easier to find because the air outside forcing its way in shows up as a different color on the infrared camera. Mold is a major problem that causes serious health concerns when it is found in the air ducts and other places of a home. Unfortunately, the South Florida climate makes it easy for mold to thrive here. If you have found mold in your home, we can assist with providing independent third party testing to establish protocol and immediate solutions for mold remediation. Any home or business can quickly become infested with mold with the introduction of a water source such as a plumbing leak. Mold can spread throughout a property in as little as 48-72 hours, and can produce allergens and irritants that have the potential to cause other health effects. Removing mold takes more than just bleach and/or vinegar. Let our mold remediation specialists provide solutions for you, and restore your home to a healthy and safe environment. With all of the sophisticated home heating and cooling systems we have today, the priority has become keeping indoor air in and outdoor air out. Of course, that eliminates most outdoor air pollutants, but there are at least as many contaminants indoors that can affect the safety and well-being of you and your family. You need to keep your home sealed up tight to improve the energy efficiency of your home heating and cooling systems and to keep the temperature consistent inside your home. But in order to do that, you need to cut off all of the natural ventilation spots that would normally ensure adequate air exchange between the inside and outside world. That leaves you with many air pollutants trapped inside your home, which can do damage to your indoor air quality. So what can you do about this situation? Well, the best option is to install some sort of indoor air quality system to remove those nasty contaminants from the air circulating through your home. There are actually quite a few different types of these systems, including air cleaners and air purifiers. All of these work to remove particulate contaminants from the air, however, they go about it a bit differently. For instance, HEPA filters, one of the most popular types of air cleaners, remove an astonishing 99.97% of particles measuring 0.3 microns or larger in the air that passes through them. Having these installed in the ductwork of your home can dramatically reduce the number or airborne contaminants found in your indoor air. Air purifiers, on the other hand, often use technology that ionizes the air and then extracts charged particles. These types of systems are often better at removing smaller particles and cutting down on smoke and pet odors, but they may not be as efficient at collecting the larger particles that settle out of the air once it’s ionized and collect on surfaces throughout your home. While both air cleaners and purifiers are able to remove airborne contaminants like pet dander, pollen, dust, mold spores and smoke particles, they are less effective at eliminating contaminants like bacteria and viruses. At Art Plumbing, AC & Electric, we have extensive experience working with all types of indoor air quality systems. Our Home Comfort Specialists can help you determine which system is best for your family based on your particular needs and sensitivities. Not everyone needs to be equally concerned with all types of household contaminants, so you can get an indoor air quality system tailored to the specific needs of your family. And once you’ve made your selection, Art Plumbing, AC & Electric can provide thorough installation, maintenance and repair services to keep your indoor air clean and your HVAC system working well for years to come. So give us a call today and see how we can make you smile. Let our Home Comfort Specialists help you pick out the right type of air filtration system for your home. We provide a large selection of air cleaners, air purifiers, and air filters ranging in price to suit nearly any budget while addressing all of your indoor air quality needs! For over a century scientists have known that certain frequencies of light have a devastating effect on microbial life. We now know that exposure to ultraviolet light in the range of 254 NM (UV-C band) disrupts the DNA of micro-organisms thus preventing them from reproducing, thereby effectively killing them. UV light disinfection is now widely used in hospitals and laboratories to sanitize instruments and work surfaces and to prevent the spread of potentially lethal airborne infectious diseases. The technology is used by the food industry to sterilize food before packaging and water treatment systems large and small now incorporate UV light as a chemical-free means of purification. According to the EPA indoor air is often five times more polluted than outdoor air. Problems include odors, toxic chemical vapors, as well as mold, bacteria, viruses, and allergens. Because they all pass through the central air system a whole-house air purifier offers homeowners a practical and cost-effective solution. A Home Comfort Specialist from Art Plumbing, AC & Electric can help you choose the right one for your home. Art Plumbing, AC & Electric is pleased to provide homeowners throughout South Florida with IQAir Whole Home air filtration systems. 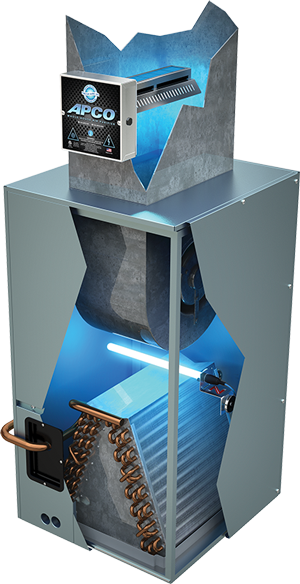 These units are easy to use and are installed within your existing HVAC system, providing you with a central indoor air quality solution. Whole home air filtration systems are easy to maintain, and last longer than the smaller, portable versions of air cleaners and air purifiers. The IQAir Whole Home air purifier is seamlessly retrofitted into your home’s existing heating and/or air conditioning (HVAC) system. Together the HVAC system and the Whole Home air purifier clean the air in your home up to 125 times per day. Manufacturers of ordinary air filtration systems claim only that their systems filter particles larger than 0.3 microns. IQAir is different. 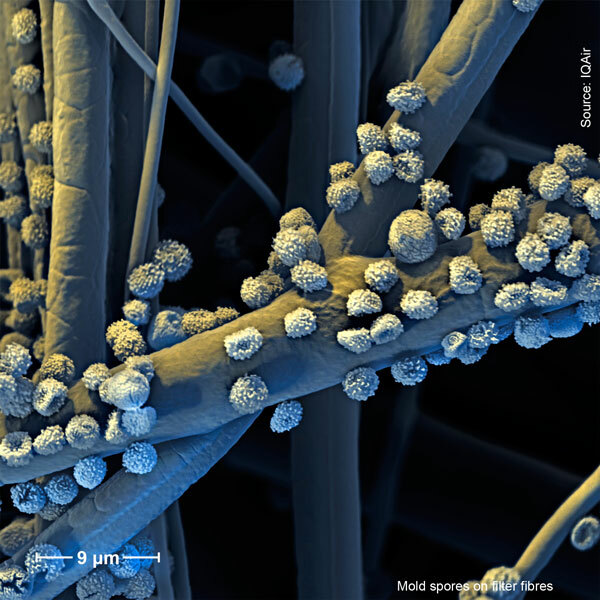 IQAir’s HyperHEPA filtration is proven and certified to filter ultrafine particles down to 0.003 microns – some of the smallest particles that exist. Independent testing by laboratories and government agencies verifies the effectiveness of IQAir technology against ultrafine particles. When it comes to protection against ultrafine particulates, IQAir is the proven choice. 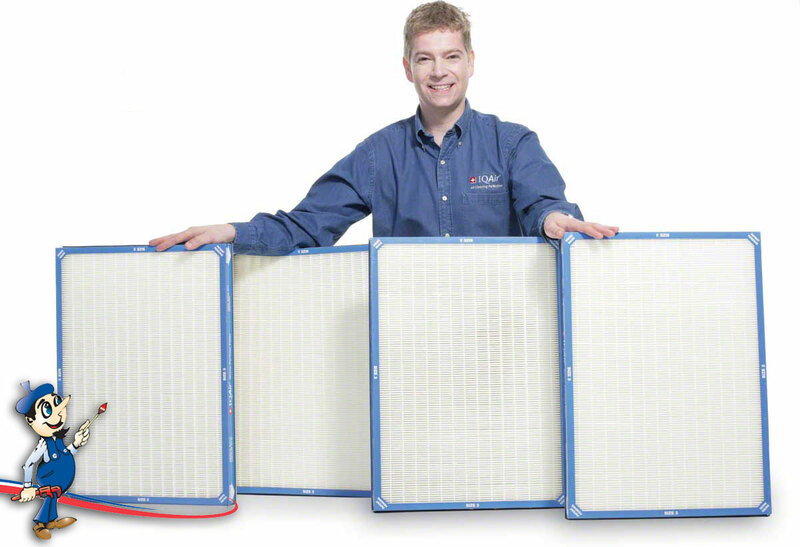 Most air filters have a single flat surface for filtration. But IQAir’s Whole Home air purifier features a revolutionary “Double V” design that increases filter surface to more than 170 square feet of filter media! This unique design enables the system to deliver up to 50 times more filtration power than other ordinary filtration systems. 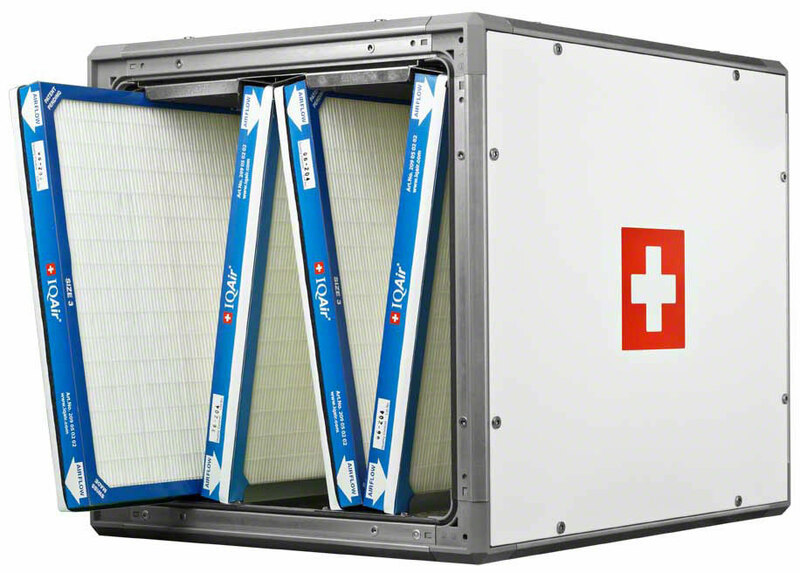 The more collection area the better the filtration and the more air is allowed to pass effortlessly through the system. IQAir is so confident of the performance of the Whole Home air filtration system that they guarantee your home’s heating, ventilation and cooling ducts will remain free from any significant accumulated dust or dirt for as long as your system remains installed and operational. As a Whole Home air filtration system owner you will also have peace of mind knowing the air in your home remains clean and healthy year after year, guaranteed. To learn more about our Whole Home air filtration systems, call Art Plumbing, AC & Electric today at 954-752-1282 to speak with one of our Home Comfort Specialists.